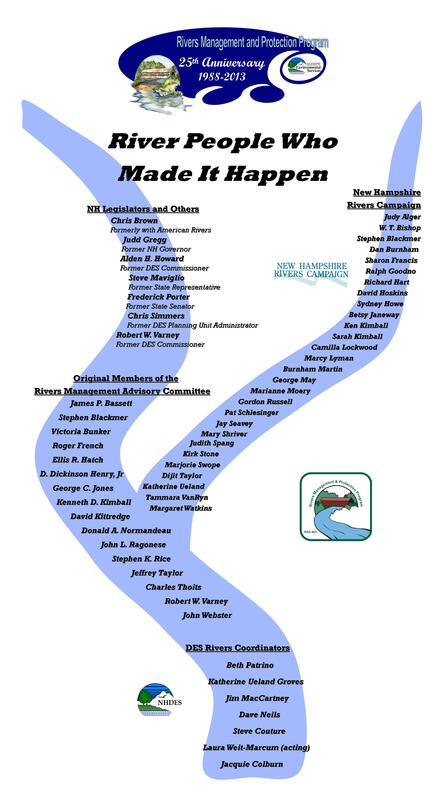 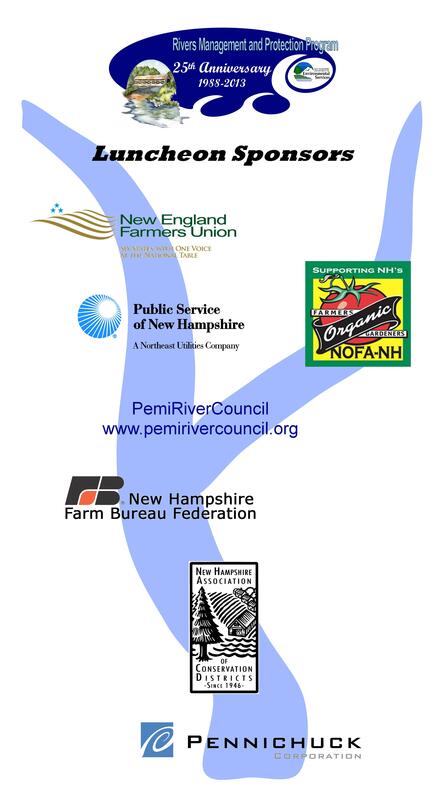 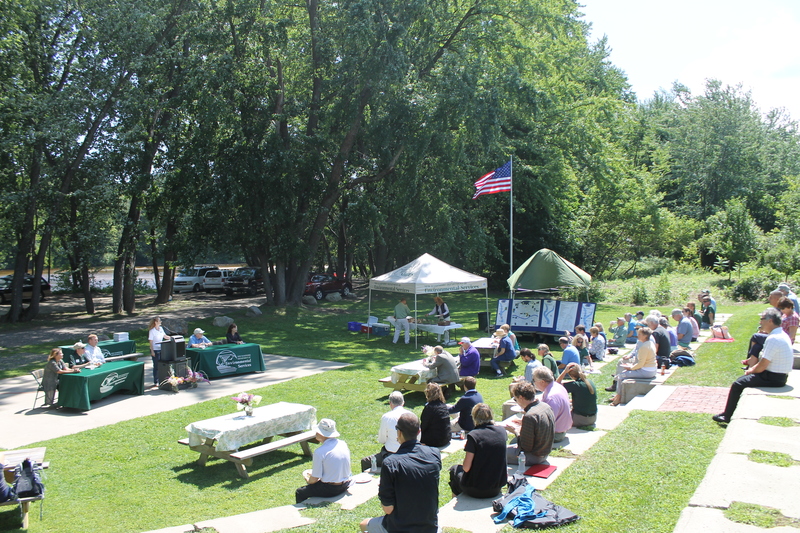 On August 14, 2013, the New Hampshire Rivers Management and Protection Program celebrated its 25th Anniversary on the banks of the Pemigewasset River in Plymouth, New Hampshire. 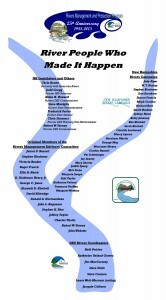 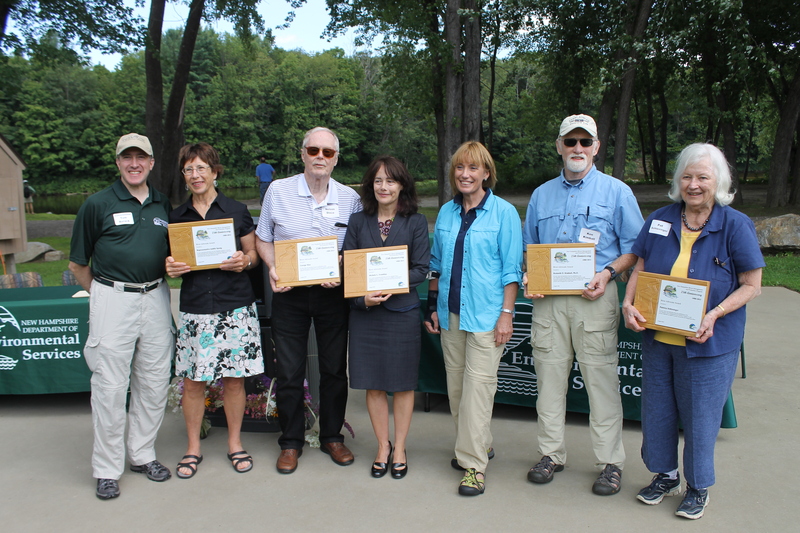 The program commemorated the successes of the past 25 years of river protection in New Hampshire, and the people who have made it happen. 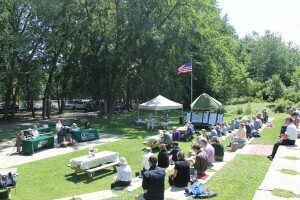 The luncheon, awards presentation and water quality monitoring demonstration took place at the Plymouth Rotary Amphitheater at Riverside Park on the Pemigewasset River, Green Street, Plymouth. 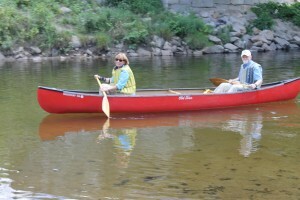 Paddlers then drove to the Smith River Bridge on the Baker River in Plymouth and paddled downstream back to the rotary amphitheater on the Pemigewasset River. 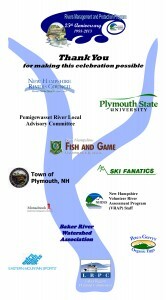 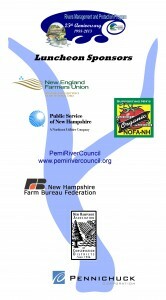 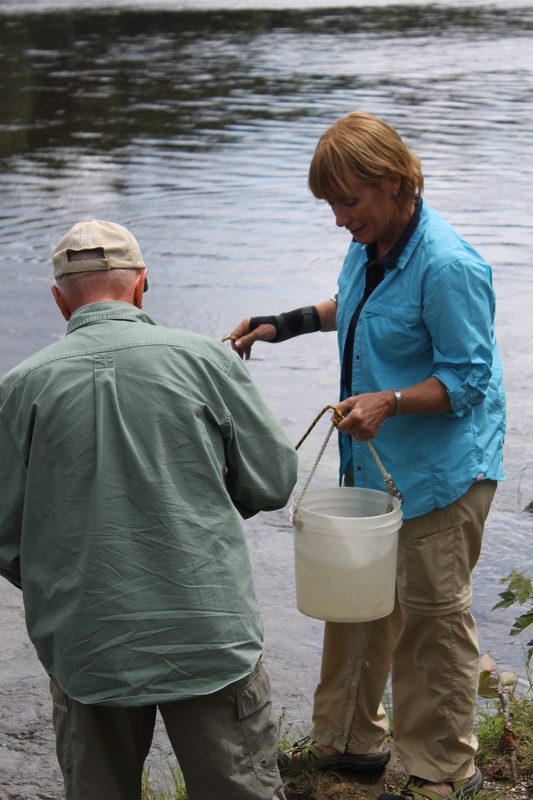 Governor Hassan presented a Commendation to the Rivers Program, assisted DES Commissioner Tom Burack in presenting awards to six key contributors to the Program, participated in the water quality monitoring demonstration conducted by the Pemigewasset River Local Advisory Committee, and then joined RMAC Chair Ken Kimball for a canoe trip down the Baker River. 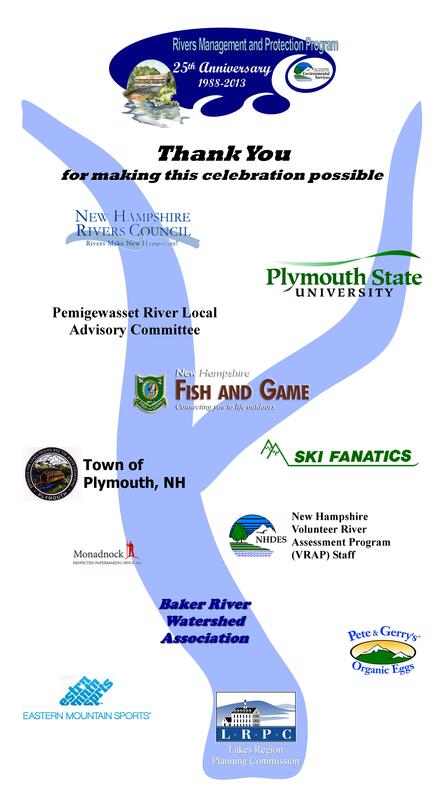 Thank you to our luncheon donors, speakers, and contributors for making this such a special event!